READY TO VISIT RURAL PROPERTIES? KEEP TRACK OF THE FACTS FOR EACH TRACT - AND ASK THE RIGHT QUESTIONS - WITH THIS PRINTOUT. Worried you'll forget to ask a critical question while visiting properties? 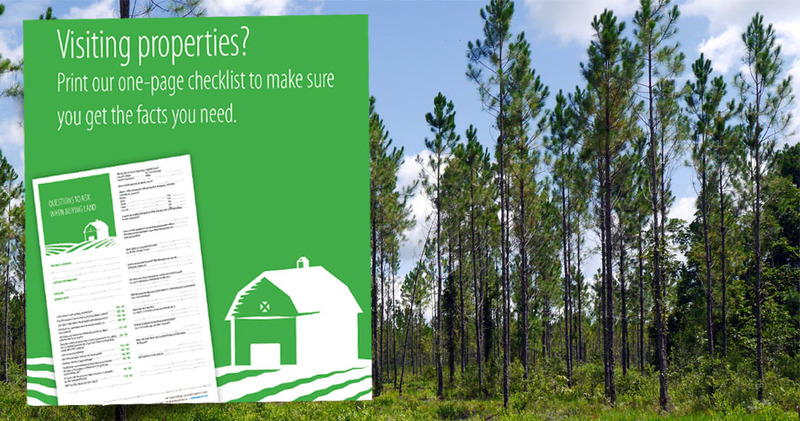 Keep yourself organized and on point with this handy one-page checklist, Questions to Ask When Buying Land. Questions about taxes, legal considerations and more!